Home » Our Doctors » William D. Hill, M.D. 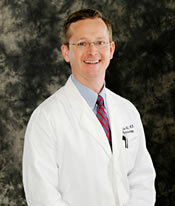 Dr. Hill did his residency at Louisiana State University and Ochsner Hospital in 2007. His internship was at Ochsner Clinic Foundation in New Orleans, LA in 2003 and his medical at Louisiana State University in New Orleans in 2003. He is currently a practicing opthalmologist at Ozark Eye Center in Mountain Home, Ar with current hospital affiliations at Baxter Regional Medical Center in Mountain Home and Ozarks Medical Center in West Plains, Missouri.